Morton’s neuroma is a swollen, inflamed nerve in the foot.Morton’s neuroma causes a “burning” sharp pain on the bottom of the foot. Treatments for Morton’s neuroma include resting the foot, better-fitting shoes, anti-inflammation medications, ice packs, and operation. A neuroma is growth (benign tumor) that arises in nerve cells. A Morton’s neuroma is a swollen, inflamed nerve located between the bones at the ball of the foot. The most common location of a Morton’s neuroma is in either the second or the third spacing from the base of the big toe. Occupational hazards. Individuals whose jobs place undue stress on their forefeet (with or without wearing improper footwear) are among those who complain of neuromas. Podiatric physicians report that individuals who work on ladders, or who perform activities on their knees (such as doing landscaping, carpeting, flooring, or other work on the ground) are at risk for this problem, too, since these activities cause stress to the nerve near the ball of the foot. Those who engage in high-impact activities that bring repetitive trauma to the foot (running, aerobics, etc.) have a better than average chance of developing a neuroma at the site of a previous injury. To put it more simply, if you have sustained a previous injury to your foot (a sprain, stress fracture, etc. ), that area of your foot will be more prone to neuroma development than an area that has not been injured. However, sports injuries aren?t automatically a ticket to neuromas. Trauma caused by other forms of injury to the foot (dropping heavy objects, for example) can also cause a neuroma to develop at the site of the previous injury. 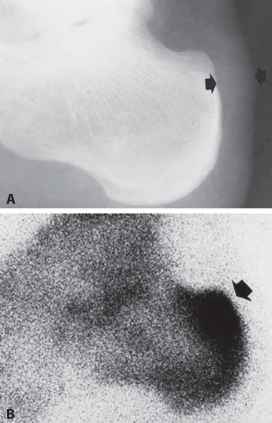 Much though we hate to say it, sometimes neuromas just develop and nobody knows why. The patient doesn?t have a previous injury, is wearing properly fitted shoes, and doesn?t stress his/her feet with any specific activity but the neuroma develops anyway. It is important to remember that some of the factors listed above can work alone, or in combination with each other, to contribute to the formation of neuroma. If you have a Morton?s neuroma, you may have one or more of these symptoms where the nerve damage is occurring, Tingling, burning, or numbness, pain, a feeling that something is inside the ball of the foot or a feeling that there?s something in the shoe or a sock is bunched up. The progression of a Morton?s neuroma often follows the following pattern. The symptoms begin gradually. At first they occur only occasionally, when wearing narrow-toed shoes or performing certain aggravating activities. The symptoms may go away temporarily by removing the shoe, massaging the foot, or by avoiding aggravating shoes or activities. Over time the symptoms progressively worsen and may persist for several days or weeks. The symptoms become more intense as the neuroma enlarges and the temporary changes in the nerve become permanent. The exact cause of Mortons neuroma can often vary between patients. An accurate diagnosis must be carefully made by the podiatrist through thorough history taking and direct questioning to ensure all possible causes are addressed. The podiatrist will also gather further information about the cause through a hands on assessment where they will try to reproduce your symptoms. A biomechanical and gait analysis will also be performed to assess whether poor foot alignment and function has contributed to your neuroma. Relief of symptoms can often start by having a good pair of well fitting shoes fitted to your feet ensuring that the shoes don’t squeeze your foot together. Once footwear is addressed patients may require a small pre-metatarsal pad to be positioned onto the insole of the shoe to help lift and separate the bones in the forefoot to alleviate the pressure on the nerve. If the patients foot structure and mechanics is found to be a contributing cause, a custom made orthotic is usually the most convenient and effective way to manage the problem. Sometimes an injection of local anaesthetic and steroid is recommended to assist in settling acute symptoms. A heel spur occurs when calcium deposits build up on the underside of the heel bone, a process that usually occurs over a period of many months. Heel spurs are often caused by strains on foot muscles and ligaments, stretching of the plantar fascia, and repeated tearing of the membrane that covers the heel bone. Heel spurs are especially common among athletes whose activities include large amounts of running and jumping. Heel spurs often cause no symptoms but can be associated with intermittent pain, especially while walking, jogging, or running. Sharp pain in the heel can also be experienced when standing after sitting for a long period of time. Heel spurs can be a result of plantar fasciitis. Though this syndrome is most common in individuals 40 years or older, it can occur at any age. The following factors increase the likelihood of heel spur development. An uneven gait which applies too much pressure to certain areas of the foot. Being overweight. Wearing worn shoes or ill-fitting footwear. Job conditions that require long periods spent standing or lifting heavy objects. The normal aging process which results in a decrease in ligament elasticity. Some symptoms at the beginning of this condition include pain and swelling, and discomfort when pushing off with the toes during walking. 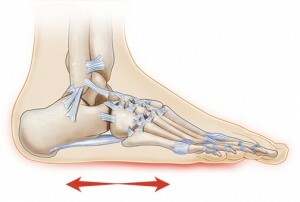 This movement of the foot stretches the fascia that is already irritated and inflamed. If this condition is not treated, pain will be noticed in the heel when a heel spur develops in response to the stress. This is a common condition among athletes and others who run and jump a significant amount. A heel spur is often seen on X-ray as a bony protrusion, which can vary in size. However, because a Heel Spur only indicates increased load on the plantar fascia, and not pain, an ultra sound may be required to assess other actual cause of the heel pain such and may include checking to see if the plantar fascia is inflamed or degenerated. The key is to identify what is causing excessive stretching of the plantar fascia. When the cause is over-pronation (flat feet), an orthotic with rearfoot posting and longitudinal arch support will help reduce the over-pronation and thus allow the condition to heal. Other common treatments for heel spurs include Stretching exercises. Losing weight. Wearing shoes that have a cushioned heel that absorbs shock. Elevating the heel with the use of a heel cradle, heel cup, or orthotics. For example, heel cradles and heel cups provide extra comfort and cushion to the heel, reducing the amount of shock and shear forces experienced from everyday activities. Heel spurs are a small calcification, which extends into the attachment of the connective tissues from the calcaneus (heel bone). This is easily observed on X-Ray and is very commonly misdiagnosed as the cause of your pain. Why? Because the wrong type of scan is used and only one foot is examined. 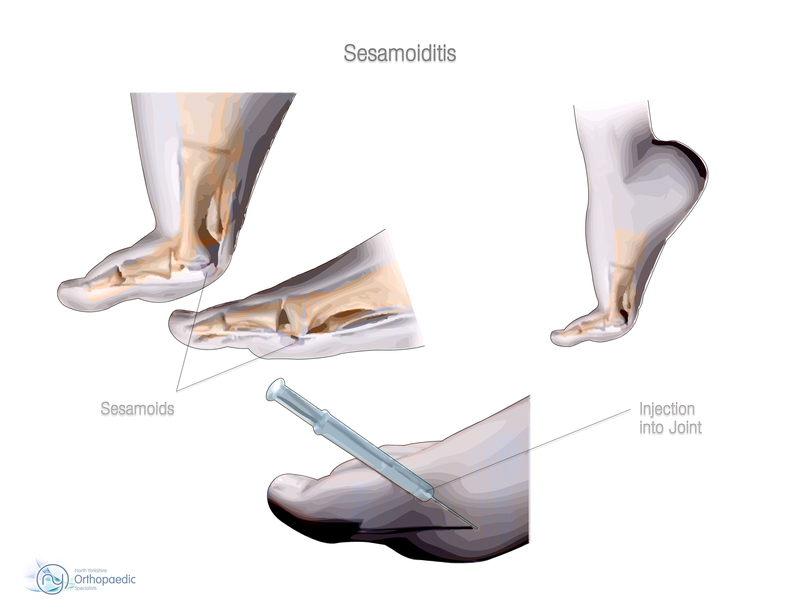 Do you know if you have a spur on the other heel, the heel without the pain? Probably? and the heel spur would have been there long before you had the pain, and will still be there long after the pain is gone. Heel spurs are not the actual cause of heel pain, and are virtually always a secondary observation or symptom caused by long term pulling on the heel bone. Heel pain may be associated with a heel spur, however the heel pain is usually due to plantar fasciitis, rather than a heel spur, so treatment is usually directed at the plantar fasciitis itself. Treatment usually involves application of ice to reduce pain and inflammation, special stretching exercises, and pain-relieving or anti-inflammatory medicines. Night splints or orthotics may be recommended. It may help to avoid the activities that aggravate pain, such as long walks and running. Surgery is very rarely recommended and only after other measures fail. o help prevent heel and bone spurs, wear properly designed and fitted shoes or boots that provide sufficient room in the toe box so as not to compress the toes. They should also provide cushioning in appropriate areas to minimize the possibility of the irritation and inflammation that can lead to bone spurs in the feet. If needed, use inserts that provide arch support and a slight heel lift to help ensure that not too much stress is placed on the plantar fascia. This helps to reduce the possibility of inflammation and overstress. Wearing padded socks can also help by reducing trauma. Peer-reviewed, published studies have shown that wearing clinically-tested padded socks can help protect against injuries to the skin/soft tissue of the foot due to the effects of impact, pressure and shear forces. Also consider getting your gait analyzed by a foot health professional for appropriate orthotics. If you have heel pain, toe pain or top-of-the-foot pain, see your doctor or foot specialist to ensure that a spur has not developed. The inflammation of a bursa can result from any process that irritates or compresses it. The irritation causes the affected bursa to produce too much fluid and swell. In cases of traumatic injury, injured capillaries can leak blood into the bursa and cause it to swell. Pain or tenderness at the back of the heel around the Achilles region. Increased pain during activities with strong, repetitive calf contractions, walking (uphill), stair climbing, running, jumping. Pain may be worse with rest after activity (that night or the next morning) or at the beginning of the excercise. Pain when wearing shoes and the heel is getting rubbed. Bump forming on the back of the heel. Limping. Stiffness. Decreased range of motion. Redness and warmth (if the bursa gets infected). Other than rest, once the diagnosis of heel bursitis (Achilles bursitis, Retrocalcaneal bursitis) has been confirmed then your treating doctor will either generally recommend one or more of the following, Pain killers. Non steroid anti-inflammatory medication. A cortisone steroid injection. Surgery in extreme cases. Whilst the above may be beneficial for some people, others unfortunately will not be suitable for such heel bursitis treatments. This may be for several reasons such as having already tried these medications with little to no benefit or not being able to take these type of medications due to pre-existing medical conditions or alternatively some individuals may just prefer to avoid painful injections or strong medications and instead use a natural heel bursitis treatment. Surgery. Though rare, particularly challenging cases of retrocalcaneal bursitis might warrant a bursectomy, in which the troublesome bursa is removed from the back of the ankle. Surgery can be effective, but operating on this boney area can cause complications, such as trouble with skin healing at the incision site. In addition to removing the bursa, a doctor may use the surgery to treat another condition associated with the retrocalcaneal bursitis. For example, a surgeon may remove a sliver of bone from the back of the heel to alter foot mechanics and reduce future friction. Any bone spurs located where the Achilles attaches to the heel may also be removed. 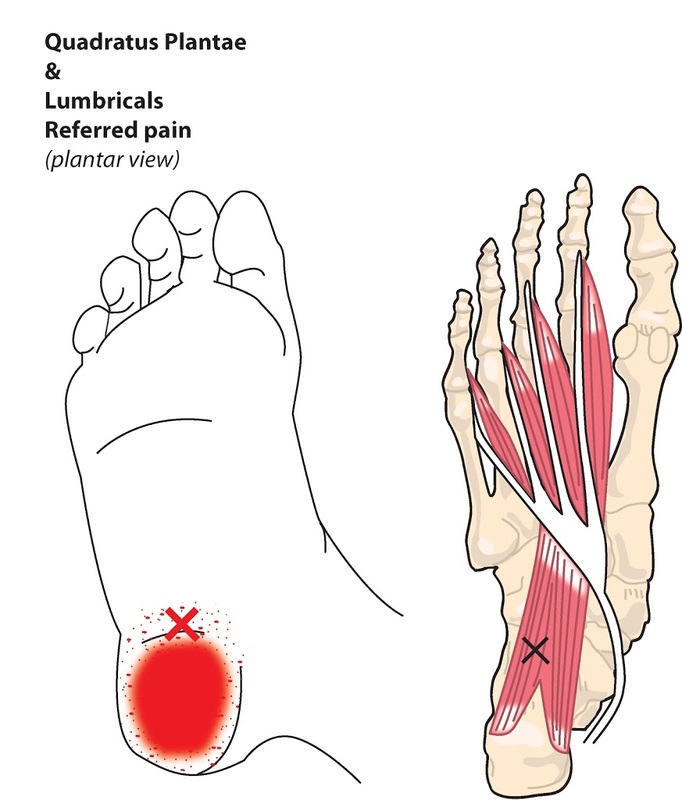 Regardless of the conservative treatment that is provided, it is important to wait until all pain and swelling around the back of the heel is gone before resuming activities. This may take several weeks. Once symptoms are gone, a patient may make a gradual return to his or her activity level before their bursitis symptoms began. Returning to activities that cause friction or stress on the bursa before it is healed will likely cause bursitis symptoms to flare up again. Overpronation still continues to be misused and misunderstood. For example, there was a study that got a lot of recent mileage in the mainstream media and the blogosphere that claimed to show that foot pronation was not associated with injury risk. It was intriguing following comments on the study in mainstream media and in social media, especially the parroting of the press release without any critical appraisal. The study actually eliminated the ?overpronators? that were probably at high risk from the study then found that ?overpronation? was not a risk factor. What is more intriguing was that there was another study from around the same time that found the exact opposite. Clearly, the data on ?overpronation? and risk for injury in runners is mixed, so we need to rely on the more formal systematic reviews and meta-analyses of all the data. The most recent one of those concluded that ?overpronation? is just a small risk factor for running injury risk, but it is still statistically significant. Abnormal foot biomechanics usually causes over-use type injuries, occurring most frequently in runners. When a neutral foot pronates during walking or running, the lower leg, knee and thigh all rotate internally (medially). When an athlete with an overpronated foot runs, this rotation movement is exaggerated and becomes more marked. If ignored, overpronation can lead to complications such as hammer toes, corns and calluses, shin splints, hallux rigidus and many more foot and lower leg problems. Hammer toes appear when the toes are placed under too much pressure and the ligaments and muscles in the toes begin to reduce in size, leading to the curvature of the toes and making them look like little hammers. Overpronators can develop hammertoes if they don?t wear an appropriate pair of shoes. Corns and calluses also appear as a result of overpronation. They form in response to excess pressure, and overpronators may find that they have excessive hard skin on the balls of the feet and inside edge of the big toe. It is the body?s way of protecting against excessive forces and friction. They can be painful. Bunions, calluses and crooked toes may indicate alignment problems. So, it is important to ascertain the condition of a client’s toes. Check the big toe to determine if the first joint of the toe is swollen, has a callus or bunion, and/or looks as though it abducts (i.e., hallux valgus) rather than pointing straight ahead. Also, look to see if the lesser toes seem to “curl up” (i.e., the person has hammer or claw toes). This may be indicative of damage to, or inflexibility of the plantar fascia caused by excessive flattening of the foot. If you overpronate, you should talk with a foot and ankle specialist, especially if symptoms have not developed yet. Questions you may want to ask your doctor include what are the best running shoes on the market? Where can I find those shoes? If over-the-counter orthotics don?t work, how long should I wait before contacting you for custom-made orthotics? On my next visit, what type of diagnostic testing should I expect? If I limit the amount of time I spend running, will my overpronation symptoms disappear? What additional treatment options can we try? Custom-made orthotics will reduce the twisting of the leg muscles as they enter the foot, by maintaining a normal alignment of the bones and joints of the foot. If the bones and joints are aligned properly, by reducing the pronation, the muscles can run straight to their attachments in the foot, without twisting to get to these bones. This action of custom-made orthotics will reduce Achilles Tendonitis shin splints; ankle, knee, hip, and lower back pain; and leg cramps. This action will also allow the leg muscles to work more efficiently, thus allowing you to walk and run with less effort.